Chopping of the ancient Airfix Comet Racer has begun. Last one I played with I made it into an RAF P.R. aircraft with a nose-wheel undercarriage and a few other modifications. For some reason I'm a lot happier cutting these ancient kits up then newer ones ? It took long until one finally came along! Have whiffed three to date, this is the fourth. Two were paint jobs (BEA and 1940 PR job using a Hudson scheme) the other was the Schneider Trophy Comet. Number four (this one) does involve chopping! I gave up on mine. The amount of PSR got to me. Maybe i'll dig it out for this GB. The Airfix Comet: treat it like one of the better Merlin short-run kits and you'll be OK. It's ideal for chopping and whiffery although really, Mr Airfix, please let it slip away now to the great model shop in the sky. 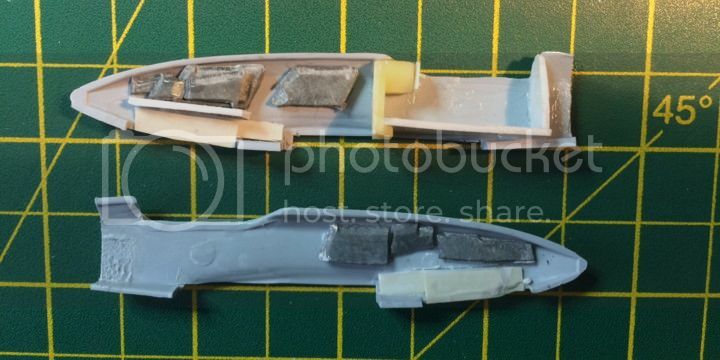 The yellowy-coloured wotsit is the front bulkhead and instrument panel element of the Whirlybits cockpit improvement set for the Airfix Comet, bought a few years ago when I wanted to make good real-world build of the Airfix Comet. All I can say is thank you AZ for theirs! 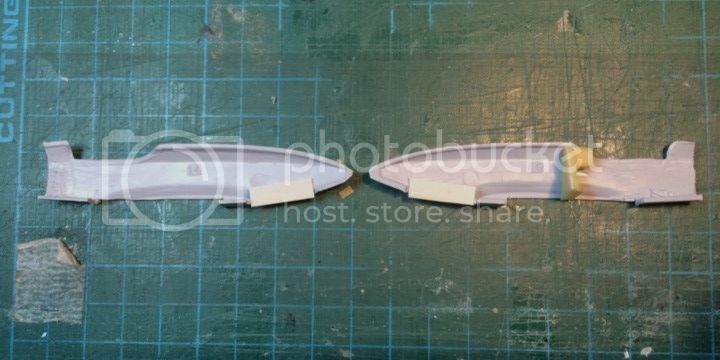 And the white plastic is the start of the nose wheel bay. One realy, REALY, wonders just who the operator is going to be? But I do like it so far. The RAF High Speed Flight looks pretty possible to me. Possible, but not in this case. 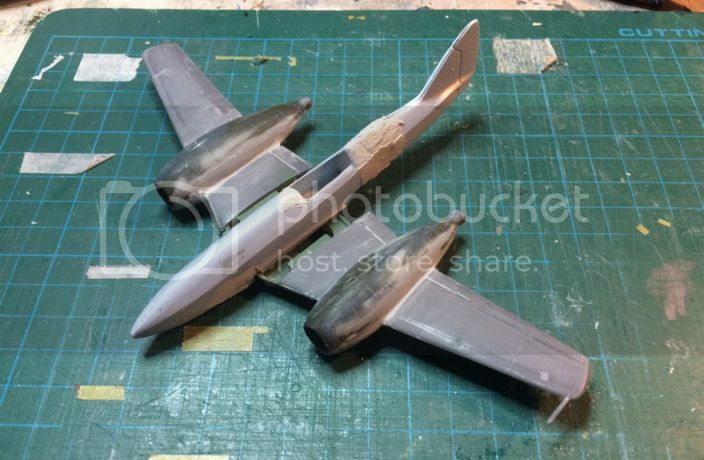 More progress, focus is on the fuselage. 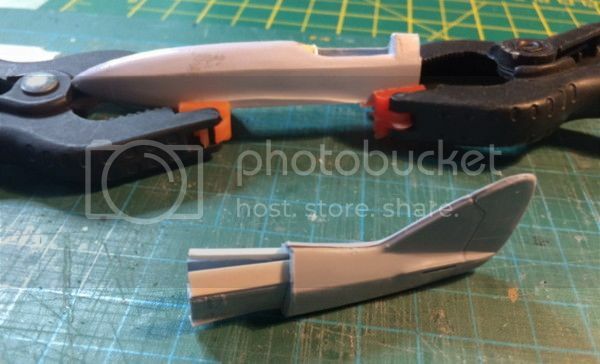 The Whirlybits interior has been dispensed with as the type will be a single seater, but Whirlybit parts have been used as templates for the floor and rear bulkhead. The Matchbox Meteor used as the base model for my F.8R (http://www.whatifmodellers.com/index.php/topic,45424.msg813547.html#msg813547) has provided the single seat. 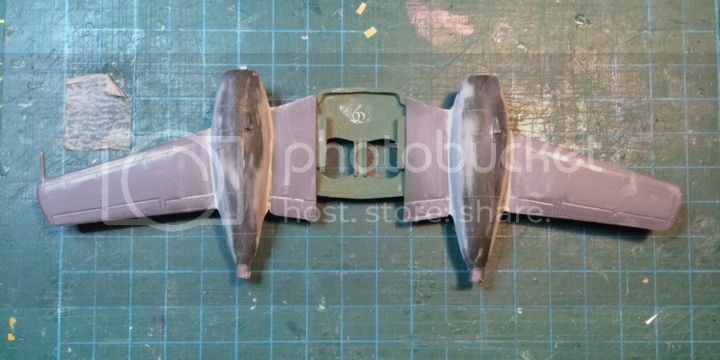 Next jobs - merge the fuselage sections and prep the wing for fitting. Having whiffed three Airfix Comets I doubt I'll whif any more - what an awful kit! 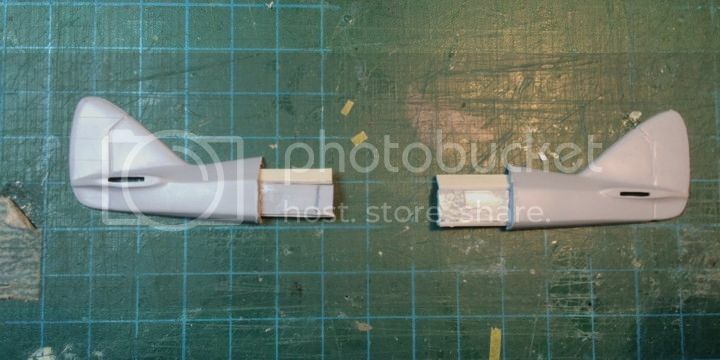 - but the engines from the kit being used in this build will feature in something else in the near future. Nice to see your progress mate. I wouldn't call it an awful kit, just one showing its age, but I know what you mean. I wonder what the view of it was when it came out ? Were there any magazines to even run a review ? You're right, Chris. I have previously said the Airfix Comet should be treated as an 80s limited run kit - early Pegasus or even Merlin. So, not awful but a very basic kit that's good for taking a whiffing knife to. I wholeheartedly disagree: it's a kit that should have been retired in the 1980s at the least. They definitely shouldn't have been releasing it with lovely Adam Tooby artwork to fool unknowing buyers!! But it certainly is good whif fodder. A fascinating concept! Lots of sanding tomorrow while I'm home alone! And I must remember to pose models to stop the Photobucket label getting in the way!